From the skies, on Corporate, VIP and VVIP aircraft cabin interiors, to the sea, on luxury Yacht interiors, we adapt systematically our customized lighting products line to corresponding environmental conditions, specific Design requirements and electrical dedicated standards. From New Zealand to French shipyards, we design and develop dedicated Yacht interior LED lighting systems in white or colored mood lighting systems. We have easily adapted our aircraft lighting products to yachting market as Design requirements between our flying customers and our yachting customers are closed in terms of finishing and lighting. 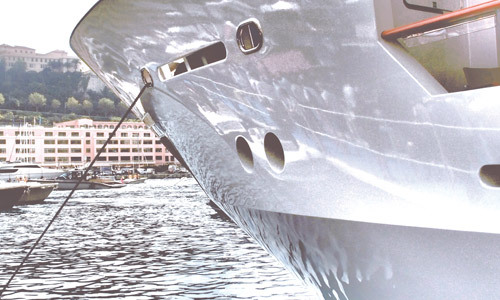 Our CLEMATIS® lighting system is also available for Yachts installation. Feel free to contact us for any additional information.